Thorsell has led his business to over 200% revenue growth in the past three years, while openly sharing what he learns with colleagues throughout the industry, as an HTG member an facilitator, Ingram Micro VTN member, and collaborator with local competitors. 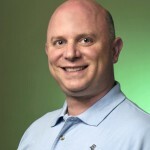 Jason Tierney, VP of Product Development, Corporate Network Services, Inc.
Tierney has spent the past year focusing on sales development — helping his company to double the number of new appointments per week and increased managed endpoints by 27 percent. Additionally, the company’s focus on proactive metrics has reduced tickets by 30 percent. Vince Tinnirello, CEO, Anchor Network Solutions, Inc.
Tinnirello has taken Anchor from a one-man shop to a thriving 10 person firm in the Denver, Colo., market. Reaching it’s 10 year anniversary this August, he has led Anchor to be the 2nd organization in Colorado and 26th nationally to have earned the CompTIA MSP Partners Trustmark credential. Tinnirello is an active SMB community member and is an Autotask MVP and Level Platforms Partner Council member. Todd has played a key role in ConnectWise Capital, the software company’s investment arm. He helps the investment team to analyze potential investment targets. And if an investment is made, Todd helps to integrate and align the solutions for MSPs and IT service providers. As of August 2012, ConnectWise Capital has invested in CharTec (HaaS), LabTech Software (RMM) and Quosal (sales and proposal software). Tomaszewski in 2011 helped the company generate 65 percent of revenues from managed services. Also, Tomaszewski is driving customers toward nearly 100 percent adoption of Microsoft Office 365 cloud services. Tomlinson leads one of the United Kingdom’s top MSPs — according to our annual MSPmentor 100 survey results. The company is now expanding internationally and is an accredited VMWare and Office365 Partner. Tomon has led the company to seven consecutive years of 40 percent+ growth. The company earned the 2012 European IT Excellence Award for Cloud Managed Service of the Year. Tuten has 28 years of experience directing financial strategy and decision-making in the IT industry. His in-depth knowledge and experience in pricing, demand management and capacity planning has enabled Enterprise Integration to grow more than 250 percent and experience a 400 percent improvement in profitability since 2007. Through selection of the right initiatives, Tuten has helped increase the investment in tool and talent development by more than 1,000 percent since 2007.